Until The Last Prayer … OUT NOW! 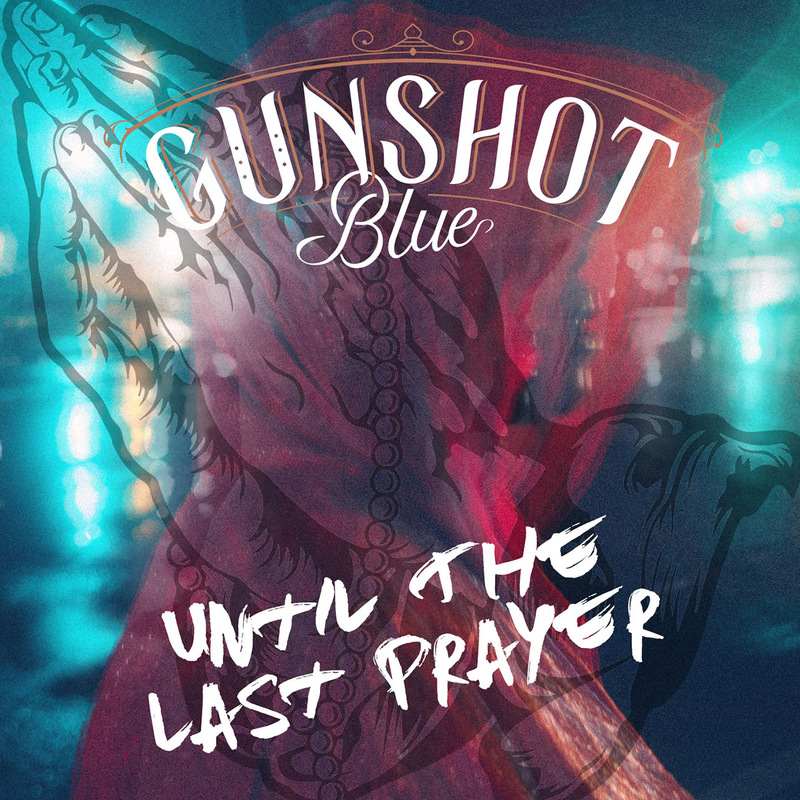 Jo’burg-based Blues Rock band, Gunshot Blue, have released their much-anticipated debut full-length album “Until The Last Prayer”. The album is available on digital release now and on CD in all good music stores nationwide. Recorded, produced, mixed and mastered by Tom Hughes, the 10-track album draws you in from intro track “She”, and flows through a collection of sonic highlights such as tracks “Hit Me Up”, current single “New Horison”, “In The Cave”, moody track “These Hands”, and ending with the energetic riff driven “Neon Love”. “Until The Last Prayer” is a Blues Rock journey to get lost in from start to end, hypnotized by Borman’s raw emotional vocal delivery, nestled in a musical heaven of great musicianship from Gunshot Blue. Woods. Deep in the mythological woods of our collective unconscious we run from and to our nightmares. Fear holds us prisoner. As our eyes get used to the dark, omens may set us free. Hit Me Up. Some gurus say that reality as we perceive it, is only 1% of what is actually out there. When you start exploring the inner worlds by looking at your dreams or simply being still; what the gurus say start to resonate within. New Horison. The christian mystics spoke of “The dark night of the soul”. In solitude is born a story of returning home with a new found tenderness and endearment for family, strangers, friends, ancestors and loved ones. Knocking. Does the spinning dog ever catch its own tail? The all-consuming mouth of consumerism will eat you alive. You’re either in a rush or looking for a rush. How do we escape the wheel of Karma? The zen buddhists, the sufi’s, and the prophet Mohammad in the sacred text of the hadith, all encourage us to die before we die. In The Cave. The fool from the tarot embarks on an adventure – the hero’s journey. A story of alchemy. Strong Wind. Inspired by the story of Saul who became Paul with his damascus experience. The Call. Some are baptised with water. Some are baptised with fire. These Hands. Inspired by the story of Albert and Albrecht Dürer: The legend of the famous praying hands. Neon Love. Inspired by “Chunkung Express”, the 1994 Hong Kong drama film written and directed by Wong Kar-wai. 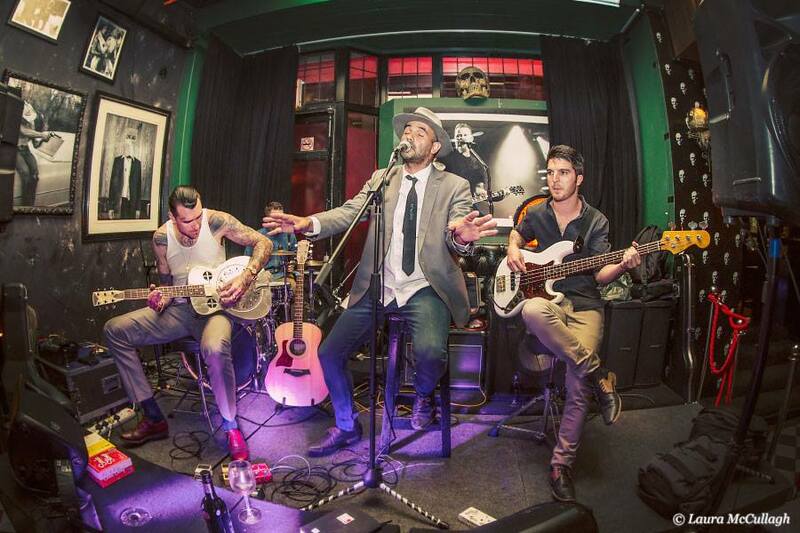 Gunshot Blue’s national album launch “Until The Last Tour” kicks off Sunday, 3 March, in Johannesburg. More details to follow via the band’s social media pages.